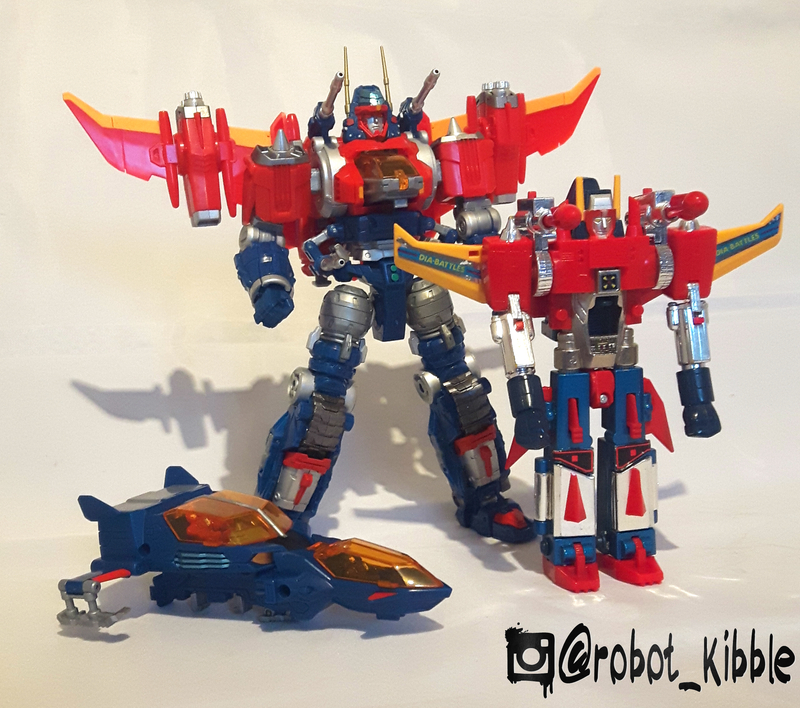 What can we say about the Diaclone Revival that hasn’t been said already in the short two months since it was released? What angles can we show it at that haven’t been covered by Maz’s incredible photo coverage? 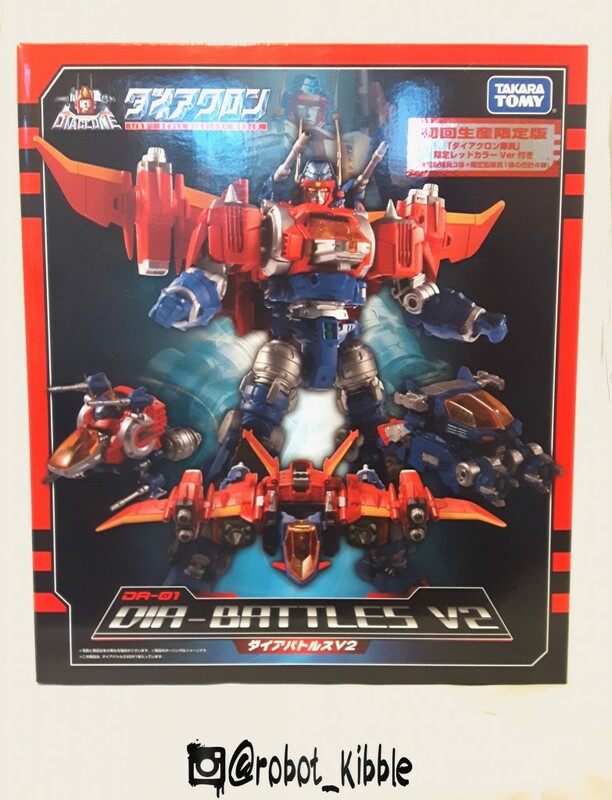 The approach I’m taking in today’s blog is simply that Dia-Battles V2 is a complete overhaul of the Diaclone concept rather than a straight update, and that maybe Dia-Battles V2 owes as much to another, different Takara design from a separate toy-line than it does the original Dia-Battles. But which one? To find the answer to these questions, first we have to go right back to 1980, 4 years before Transformers were a thing, to the pre-Hasbro land of Takara Diaclone. To the original DIA-BATTLES. Calling it Dia-Battles V1 is a bit disingenuous, but like the Generation One moniker that appeared long after the original line was finished, I imagine this is what he’ll come to be known as moving forward. 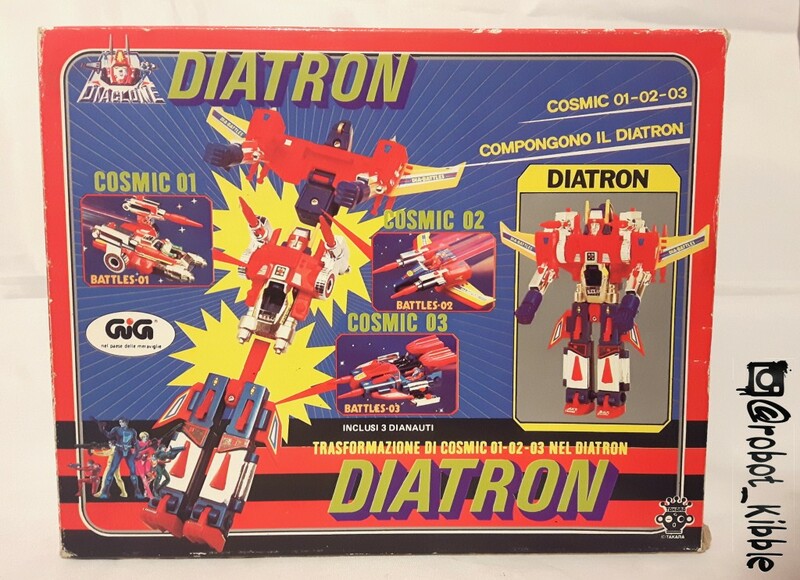 Shown above is my vintage Diatron (the name used during the Italian Gig distriution), it’s exactly the same as the toy issued in Japan as Diabattles, right down to having DIA-BATTLES written on the wings. 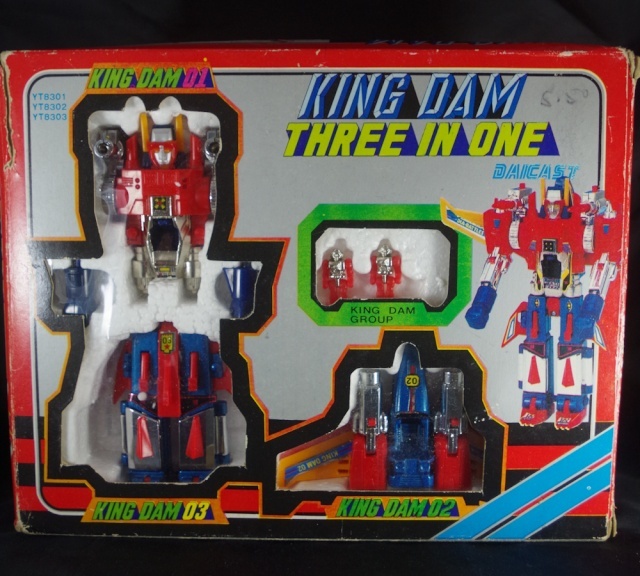 Heck, that’s a detail that even the Kingdam Knock-Off noticed and corrected for their release (but if you look closely below, you’ll see they used a picture of the original toy and not their KO). Diabattles / Diatron features three separate vehicles that come together to form one robot mode. Sort of like the Duocons, but a Trio… and good guys against the evil Waruders. So, TrioBots maybe? The combined robot mode is very basic, but a lot of fun with a terrific aesthetic, and a classic Takara headsculpt. One think which really makes it stand out is the amount of die-cast metal and chrome parts, which in good condition really make the figure look great, but which sadly means that the figure is easily damaged and all too often the offerings of this guy on the collectors market are often damaged and look quite shoddy. 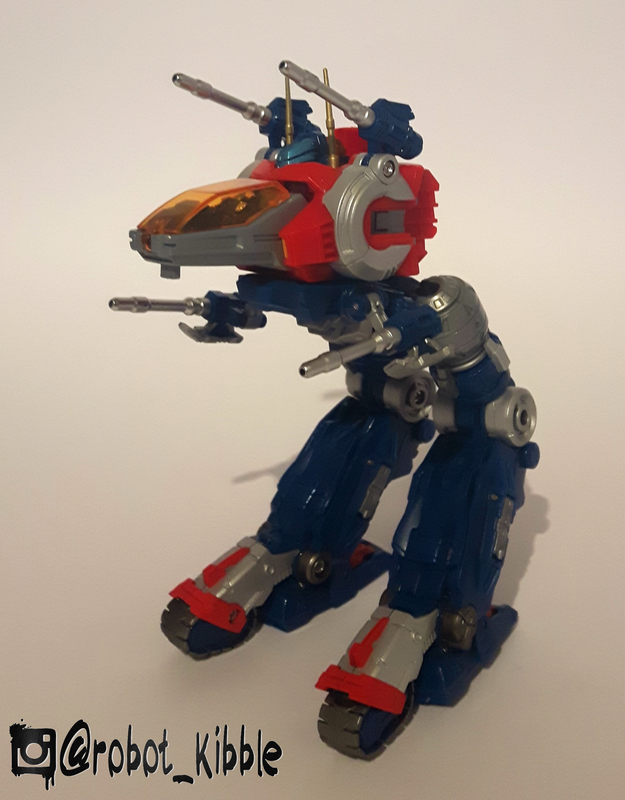 Combine that with blue plastic in the legs which is incredibly fragile now, and a questionable leg connecting joint, and the chances of finding this guy in great condition are slim. 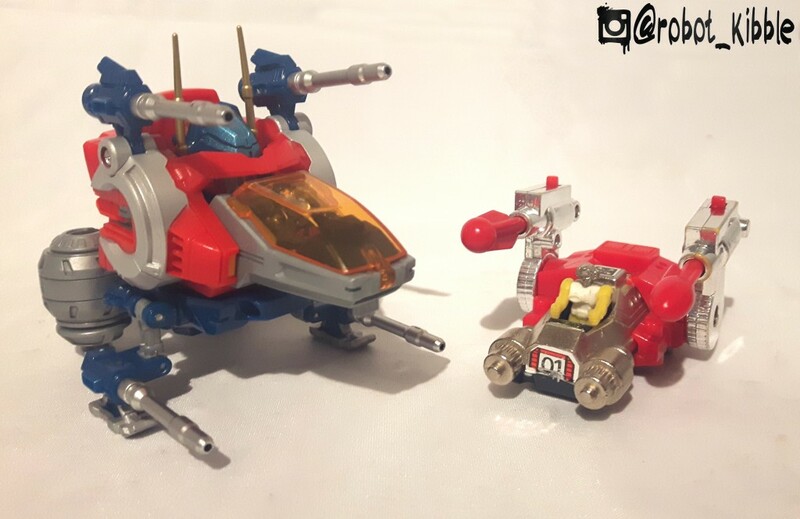 Because of the combining nature of the robot mode, it is fairly easy for the wise collector to buy a couple of damaged ones and attempt to make one good, complete one, which is what I did here ( a wiser collector puts the figure safely away before their cats break it too!). Transformation, if you can call it that, is easy and intuitive as it usually is with the vintage pieces. The sliding wing panels on the winged vehicle; (02), lock the torso and head vehicle (01) into place, with the final vehicle (03) making up the legs. Catchy naming scheme, huh? 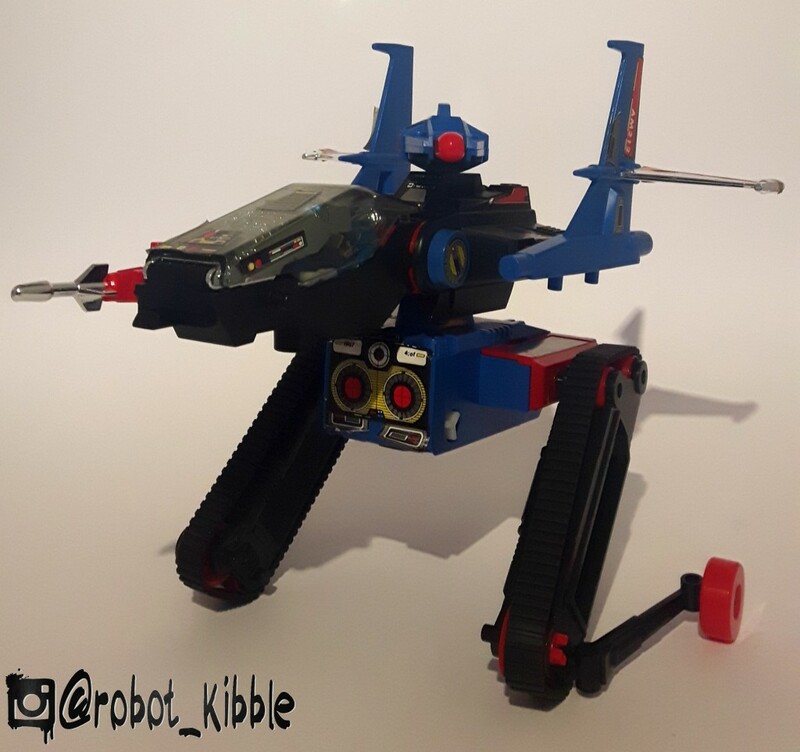 The Gig version credits the vehicles as Cosmic 01, 02 and 03 respectively. Lets take a look at those vehicle modes below, side-by-side with their contemporary updates. Not much in common with these guys, I actually think the vintage does a better job of hiding the head with a simple panel slide, but I guess with the nature of the Diaclone story the transformation isn’t so much about disguise as function, and no-one can deny the coolness of the mechanised function that slowly reveals the head of Diabattles V2 with a very satisfying and Zoids-esque whirr. Big yellow and red wings? Check. 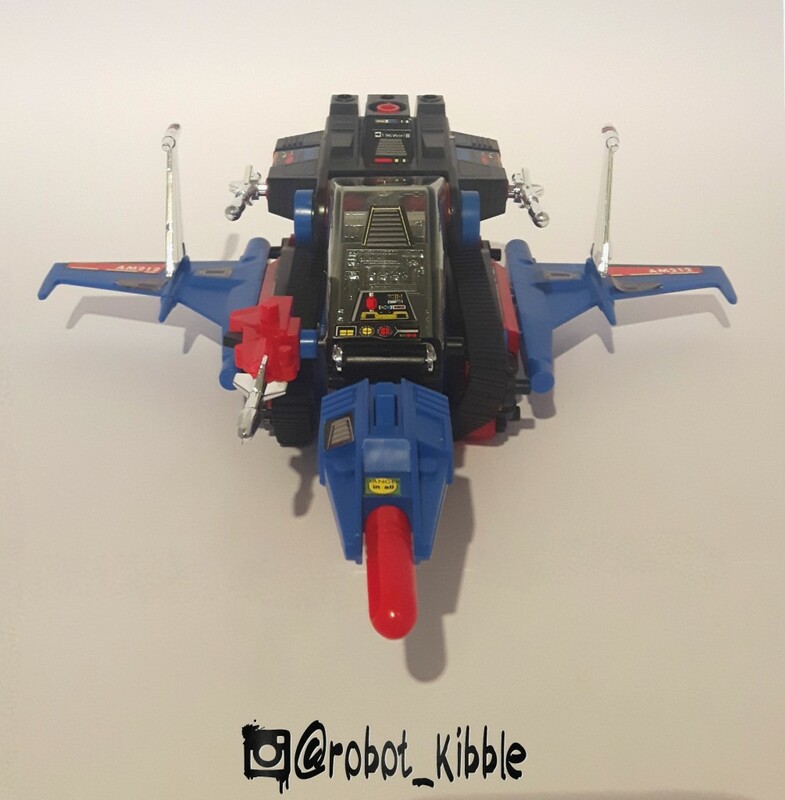 Blue cockpit for a Diaclone driver? Check. Anymore similarities? No, not really. I guess this section helps the final silhouette of the combined robot mode look a bit like the update. 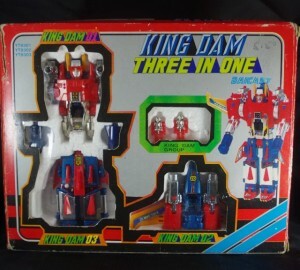 Well I guess it seats two Diaclone drivers same as the original. One thing the original does much better than the new figure, is that it uses all the parts in it’s final robot configuration. 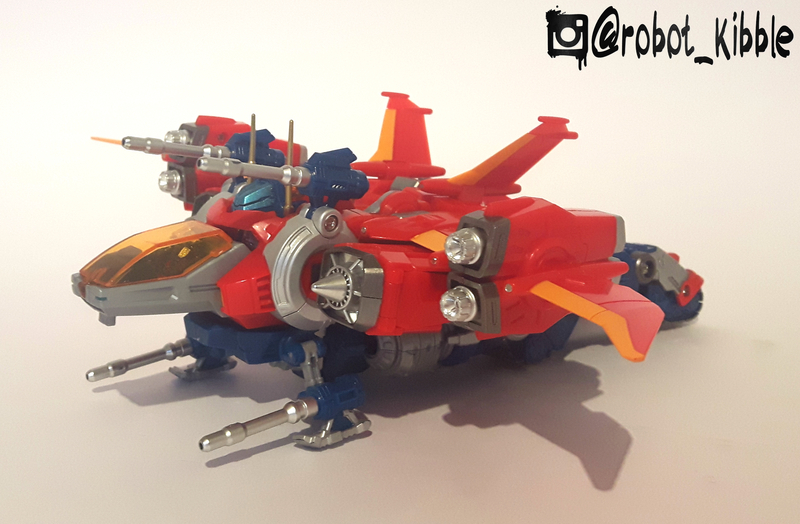 It’s not a big problem, as the left-over parts combine to become the Boretto Fighter and have high levels of functionality separately, and totally work within the structure of the Diaclone universe. It’s not even parts-forming as we know it, because where is it written that modular equipment can’t have bits left over? Okay, we’ve gotten a bit ahead of ourselves. Now you’re familiar with V1, lets check out V2 properly. As I said at the opening, you can’t really consider Dia-Battles V2 as merely an update of the original, it is in fact a complete re-imagining of the Dia concept. And in my opinion, a much needed one. 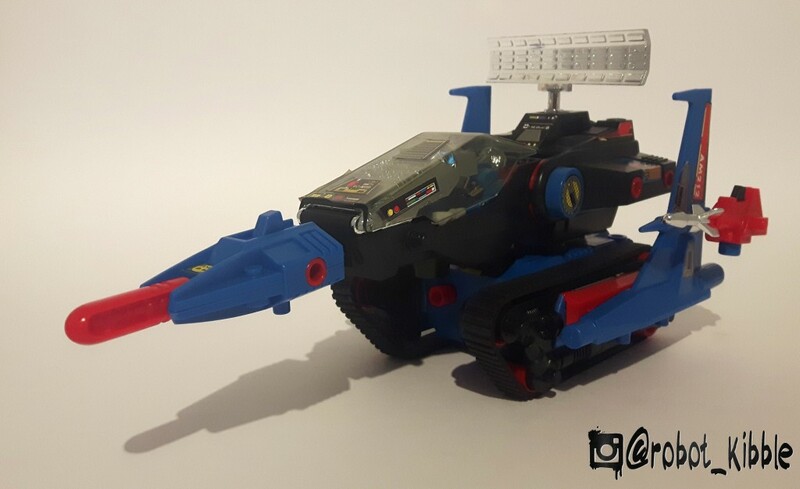 We’ve seen the vehicle modes in direct comparison with the originals, so lets look at the “robot” mode. It’s a million miles away from the original, but there is definitely enough homages to the original (the colour-scheme, headsculpt, basic proportions and silhouette) for it to work. 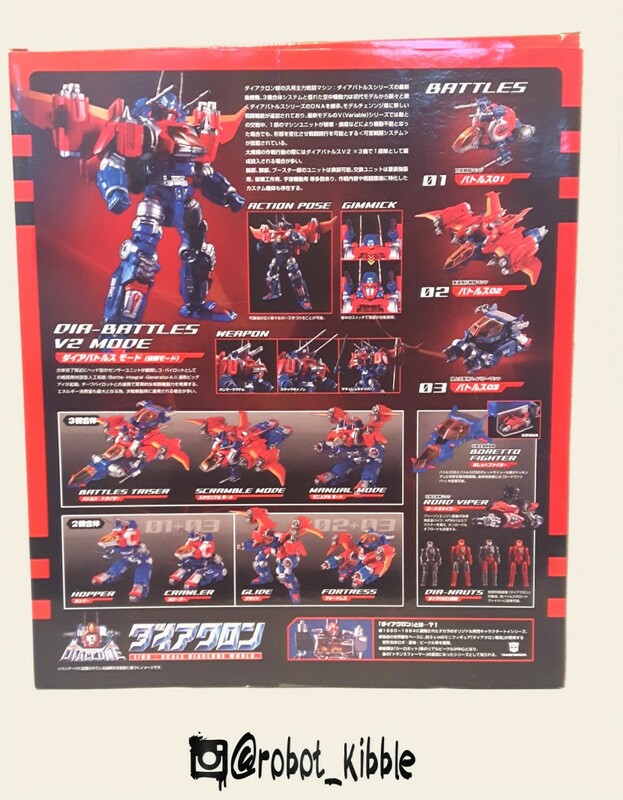 Make no mistake though, Takara have not just phoned this in. 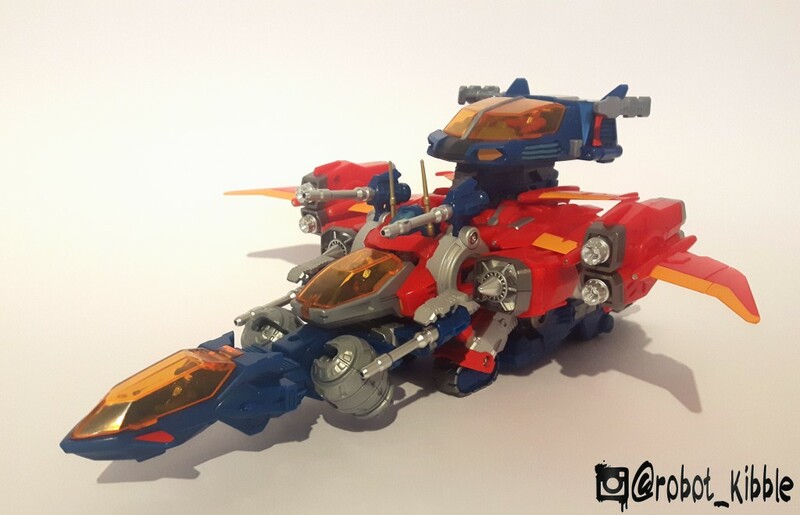 Not content with an awesome robot mode, complete with swords and other accessories, not content with three vastly updated and re-imagined vehicle pods, Takara have made the WHOLE THING modular. Sure, the original broke into three parts, but there was very little you could do with those three parts. Not so with V2. Firstly, the obvious one. Lets make all three vehicles joint together to make one amazing uber-ship known as Battle Triser. Great idea, and it also makes use of some of the leftover components from robot mode. Everything is used here to great effect. How about an obligatory Japanese mech look? 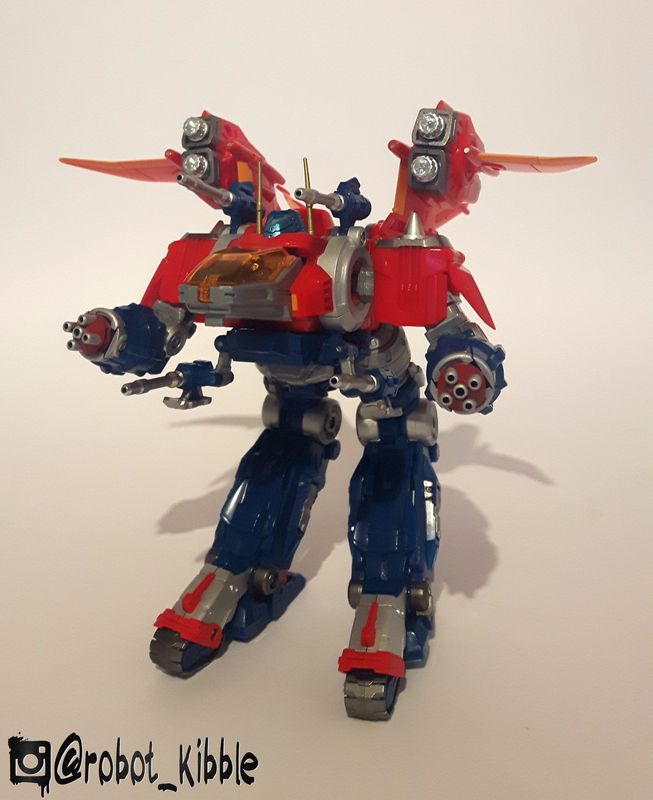 Fan-mode Ger-walks (originating in the Macross line and replicated by Jetfire fans everywhere) are a thing with fans these days, but Takara have made that easier by included it as an official mode. Nice one Takara. This ED-209 looking mother is known as Manual Mode. 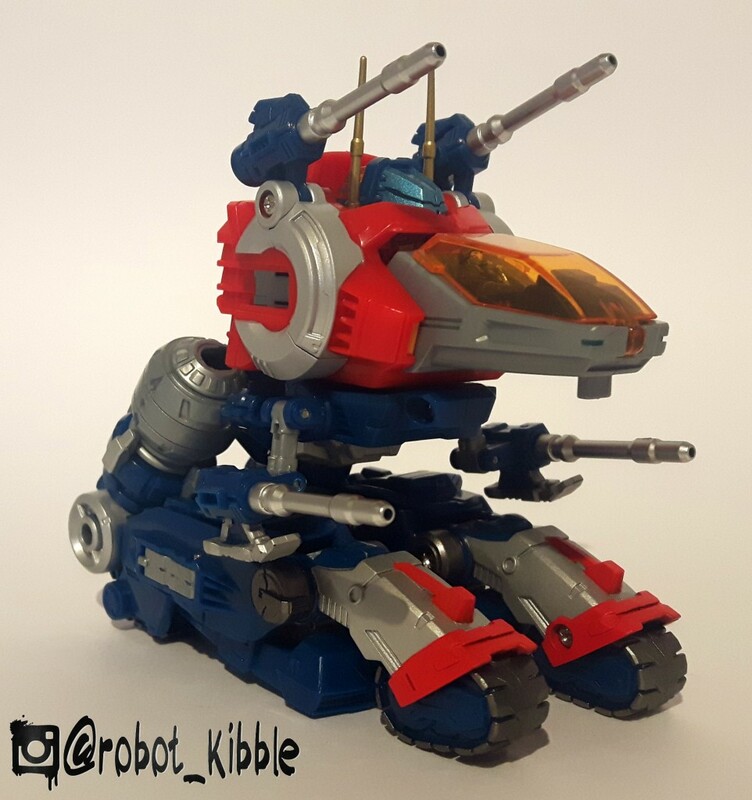 The above pictured Scramble Mode is the third official combine mode from Takara to make use of all three components. But they are not done yet. You can combine two out of the three parts together to make four other official modes, including Hopper (above), Crawler (below), Glide and Fortress (not pictured). And that’s without getting to fan modes! Want more options? No problem, because Takara also issued this in a Moonbase variant, and you can mix and match those parts to make as many interesting configurations as your heart desires. All of which are fully interactive with the Diaclone Drivers included with the sets. This adds on layers and layers of playability, to the point that I’m not surprised that a lot of people are troop-building these guys. 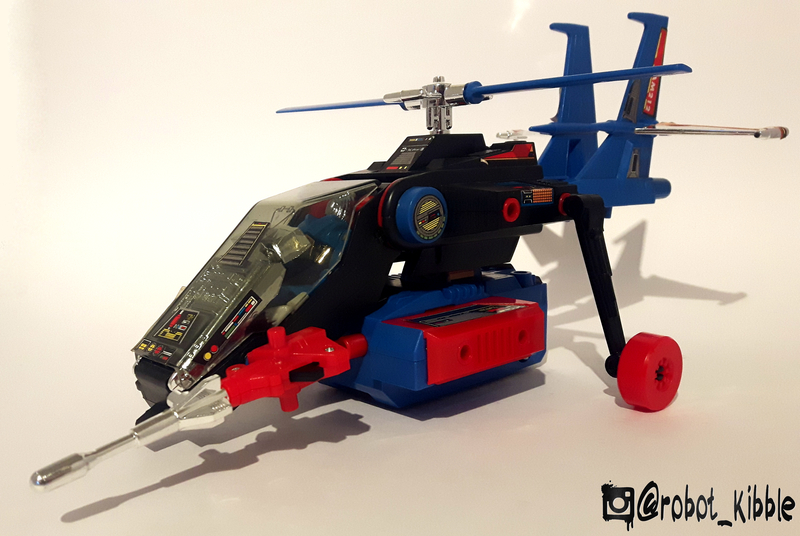 The little motorbike, Road Viper, is included with the V2 set. As you can see from the above, Dia-Battles V2 seems very much like it’s own thing. But hang on… multiple components, highly modular interactivity giving you the ability to make a multitude of different vehicles all of whom are piloted by a Takara pilot? Where have we seen that before??? 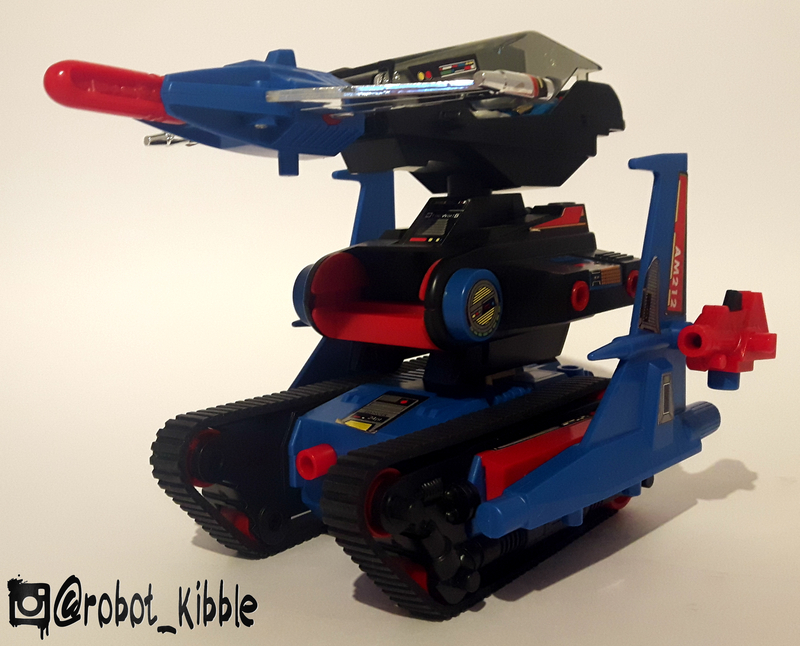 Released in 1982 by Takara as part of the Microman Armoured Machine range, the above pictured Cosmic Fighter (later released in the West as Converters Deltarian Fighter) was a highly modular vehicle made up off multiple components giving you the ability to make a multitude of different vehicles all of whom are piloted by a Takara pilot. I explain the history of this release in slightly greater detail here for those interested. There really is no set formula with this guy, and while the packaging and instructions mention 16 different and distinct vehicle modes, there are so many more weird and wacky configurations you can achieve. I have no idea what this mode is. Radar tank? I mean Crawler mode. 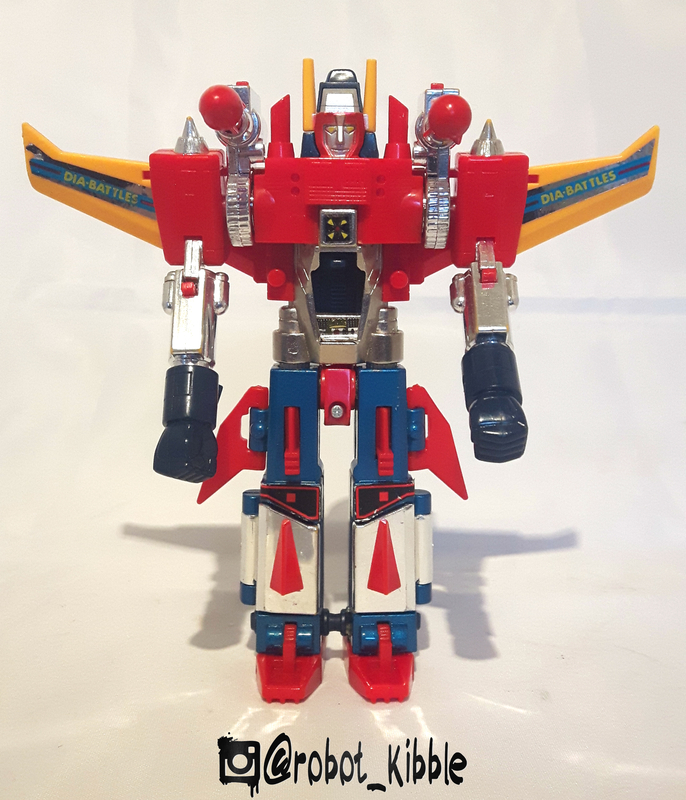 Sure, Takara have attempted to reboot the Microman line multiple times (occasionally using old Transformers molds such as Action Masters Optimus Prime of MicroMaster Countdown) with little success, and I’m certainly not saying they are attempting to sneak a Microman reboot into the new Diaclone Revival, nor am I saying Dia-Battles rips off this dated looking Microman mold. 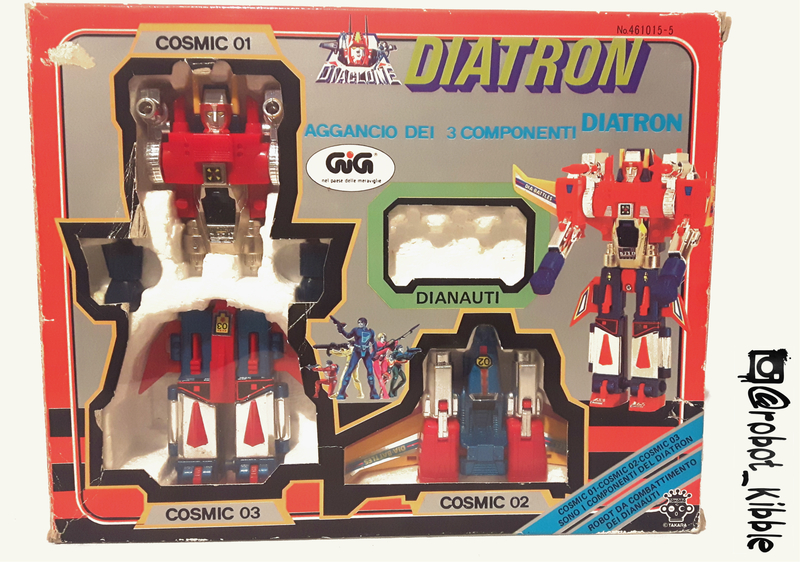 I am however floating the concept that Takara designers perhaps borrowed a few ideas from the Cosmic Fighter when they came to the Dia-Battles V2 design table, maybe borrowing as much from it’s modular design as they borrowed from Diatron’s colours and aesthetic. Maybe it’s all a coincidence? Or toy design osmosis seeping into the designer’s heads? What do you think? 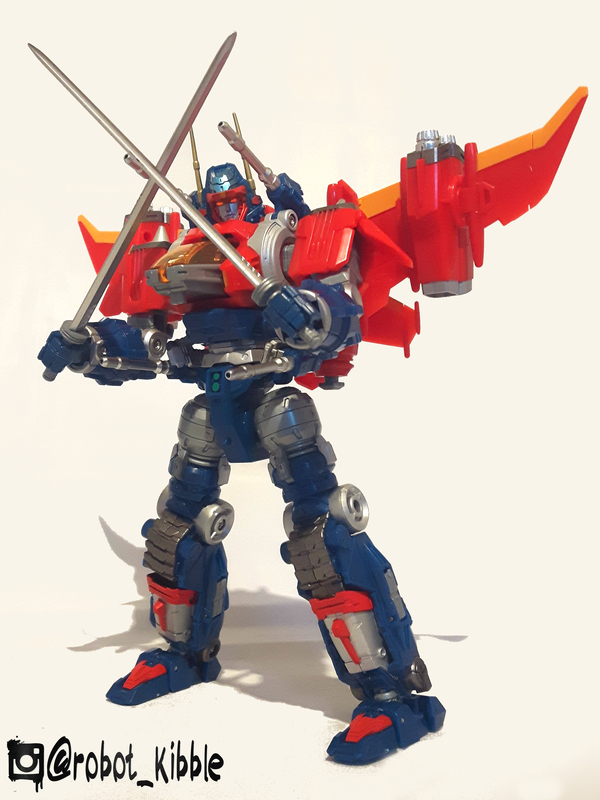 As always, massive thanks to Kapow for allowing me a home for these articles, make sure they are your first port of call when considering the Diaclone Revival figures, the PE upgrades, or the Fans Project Dia-Battles / Dai Atlas updates; Trianix Alpha and Dai X. What Masterpiece figure would you like to see next? G1 Shockwave and MP Shockwave comparison – with Quakewave and Astro Magnum! Find our latest reviews and more on our You Tube channel. All the latest news and views on our Facebook page. Find our latest auctions at our ebay shop. Don’t forget our main site! Lots of lovely things to look at. © 2019 Kapow Toys Blog.